Many visitors to Fallen Leaf Lake eventually become locals who want to stay at this wonderful little lake in the Sierra mountains near South Lake Tahoe. Fallen Leaf Lake is a small one-by-three mile lake and nearly 600 feet deep. Its 75 feet of clarity is sensational and lack of crowds is comforting to swimmers and boaters alike. The small road hugging the lake and granite rocks along its west side is often just one lane where you find yourself pulling off to let your fellow visitor pass by. Each summer, many of us families retreat to Fallen Leaf Lake for year after year comradery with a growing group of friends. It can become contagious. 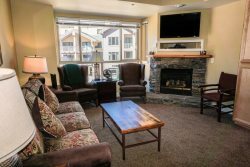 At Fallen Leaf Lake, you are only twenty minutes from South Lake Tahoe where there is entertainment, world-class restaurants, and all aspects of recreation you can imagine from hot air balloons to back-country training camps. Please check out our Local Area Guide for more details. Fallen Leaf Lake has roots dating back to the early 1900’s. The Alden’s and their Stanford and Berkeley faculty investors were original purchasers of lots along the east side back in the 1920's. More families secured government leased land on the west side and above Glen Alpine creek which is known as Stanford Hill. William Price acquired the land where the original Fallen Leaf Lodge stood and now where the Stanford Sierra Camp resides. This is where my father worked for one of his two daughters Harriet Price Craven and Francis Price Street who ran the camp. William and Barbara Craven still live at Fallen Leaf Lake year-round however aging. Bill is Harriet’s son who later took over the developed Fallen Leaf Lodge just to the south of the Stanford Sierra Camp where there was a diner, small cabins and tent camping. The old General Store still stands where a few movies have been filmed. A new General Store/Post Office was built recently and a great gathering place for our character rich personalities young and old. Although times have changed, families carry on their traditions and most of the environment remains the same with deep respect for the history. Many old quirky cabins still exist and are frequented during the summer months and some have been rebuilt into modern mansions. The Tallac Historic Site is located at Hwy 89 and Fallen Leaf Lake Road. This is the former site of the 100-year-old Tallac Resort. In its days of glory, the resort included two large hotels, a casino, and numerous annexes and out-buildings. Nowadays, the site is home to Valhalla community events center and its annual Valhalla Festival of Arts and Music. Exhibits on the Baldwin family-the former proprietors of the Tallac Hotel, and on the Washoe Indian Tribe can be seen at the Tallac (Baldwin) Museum located also within the site. One of the easiest accesses to Desolation Wilderness is from Fallen Leaf Lake. Desolation Wilderness is one of the most popular hiking areas in Northern California. It’s a 100 square miles of road-less area standing above the southwest shore of Lake Tahoe with splendid views of the lake. The trails out of Fallen Leaf Lake wander past Glen Alpine Falls, Lily Lake, Grass Lake then from there you can make various deviations to either Lake Aloha, Mt. Tallac or up towards the Velmas. Because Desolation Wilderness is so compact, you can make most trips in a day. There are over 30 hikes in all and each will be an adventure for everyone in the family to bury deep in their memory banks. As a kid, I remember these hikes being my first introduction to the world of wildflowers. If you’re staying at the Fallen Leaf Lake campground, it’s only necessary to go backpacking in Desolation Wilderness—the astounding sights are only steps away from the campsite. Tourists will travel the narrow road into Fallen Leaf Lake where at the end of five miles they find a well-rewarded indulgence at the General Store offering the best sandwiches, burgers, and memorabilia. Here is where you can rent a kayak, sail or fishing boat at the marina and take in the cold refreshing alpine water. Often you will convene with friends for a picnic and take advantage of the swim dock and breathtaking views. When you reserve a vacation rental at Fallen Leaf Lake, you can also rent a boat slip for your water skiing/tubing fun. It’s very relaxing as often you are one of five boats on the entire lake. At the other end of the lake is a ski course and our secret cove where the water is like glass and it feels like cutting into butter as you glide back and forth. We call that ego water. If sightseeing is on your agenda then you won’t want to miss the lower Glen Alpine Water Falls. It’s a very impressive site just off the roadside. A natural spring a couple miles up where the Glen Alpine Springs Resort, one of the earliest Tahoe Basin resorts was established in 1884 still has remains of the rich historic site. Stanford Sierra Alumni Camp resides at the end of the road just past the St. Francis of the Mountains Chapel nestled in a grove of Aspens and Stanford Hill. Stanford Sierra Camp is for its alumni and offers academic, social and corporate groups a beautiful and natural environment in which to meet and recreate with their family and colleagues. Fun outdoor education is the premise for wanting to be a part of their community.This Fallen Leaf Lake campground is one for creating memories that won’t soon be forgotten. Around the Fallen Leaf Lake campground, there are ample opportunities for the camper, hiker who floats, fishes along the shore or in a boat. The lake is full of Mackinaw trout, brown trout, rainbows and kokanee salmon. Lahontan cutthroat trout were fished out at Fallen Leaf decades ago, but have recently been reintroduced to this experimental location. Fishing is good almost anywhere on the lake. While some anglers targeting Mackinaws favor the early morning, the afternoons prove success as well. Mackinaws tend to stay deep, near the bottom, often below 100 feet. Many trollers prefer the east side of the lake, especially along the northern end. Anglers seeking brown trout in particular like the shorelines near the inlet of Glen Alpine Creek. The northern end near Sawmill Cove in the direction of Taylor Creek is where the float tubers love to hang out. Recent underwater findings have shown remnants of ancient forests along the shelfs proving to be thousands of years old in this clear 600 foot deep lake. From rustic to luxury accommodations Pyramid Peak Properties offers a wide selection of vacation cabins and vacation home at Fallen Leaf Lake. We have charming 1930 – 1940 vintage rustic cabins and newer quality homes with heat and modern plumbing!